Is there any way other than polishing the beads on a machine? The edges of the beads seem to be banged up over time. 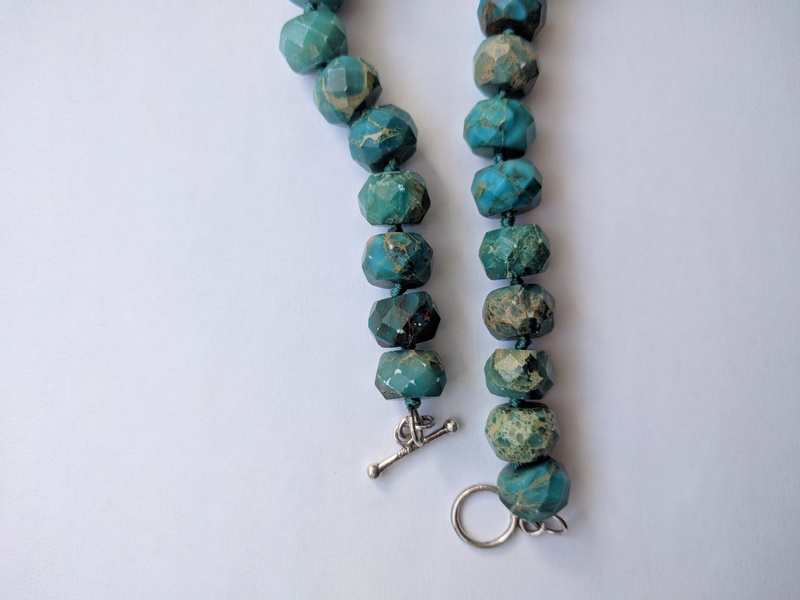 I think the stone is chrysocolla. My suggestion is that, cleaning within the gem water, which could give better result in its appearance.